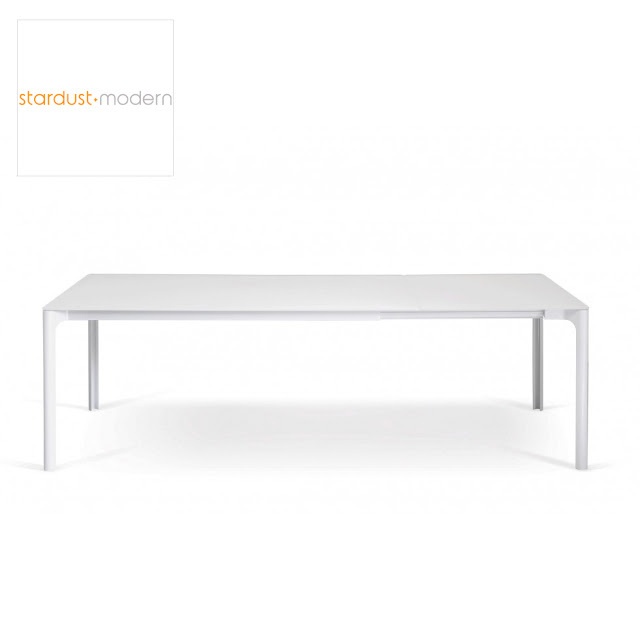 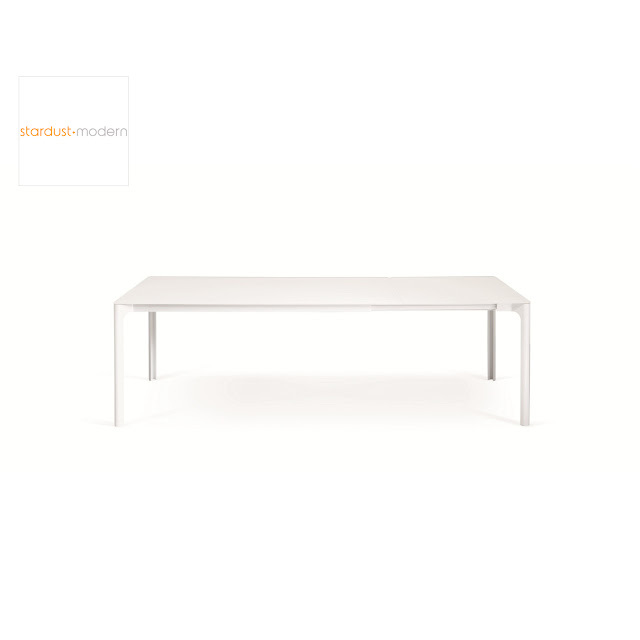 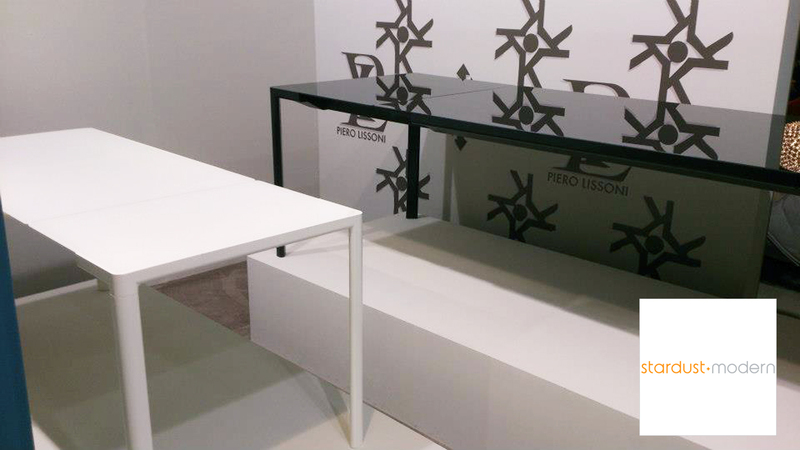 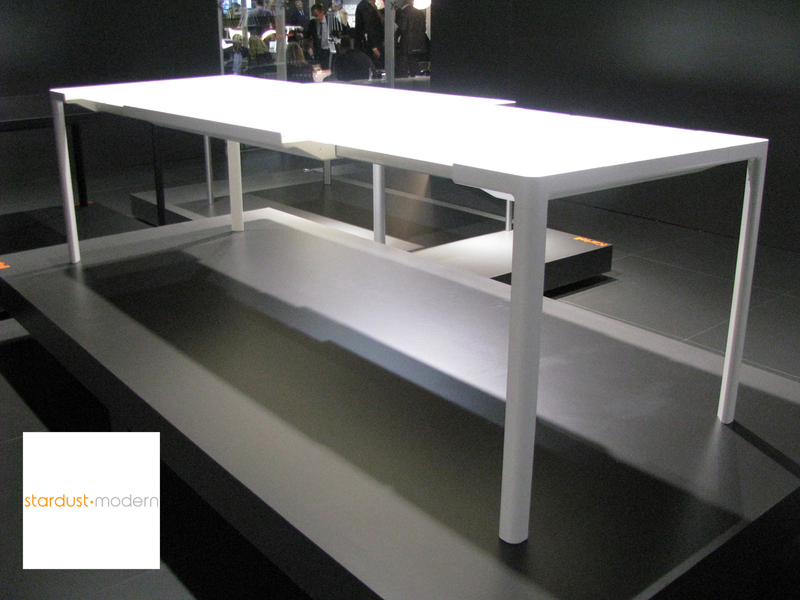 Kartell Zooom by Piero Lissoni, a modern table that can be used as an extendable dining table or office table. 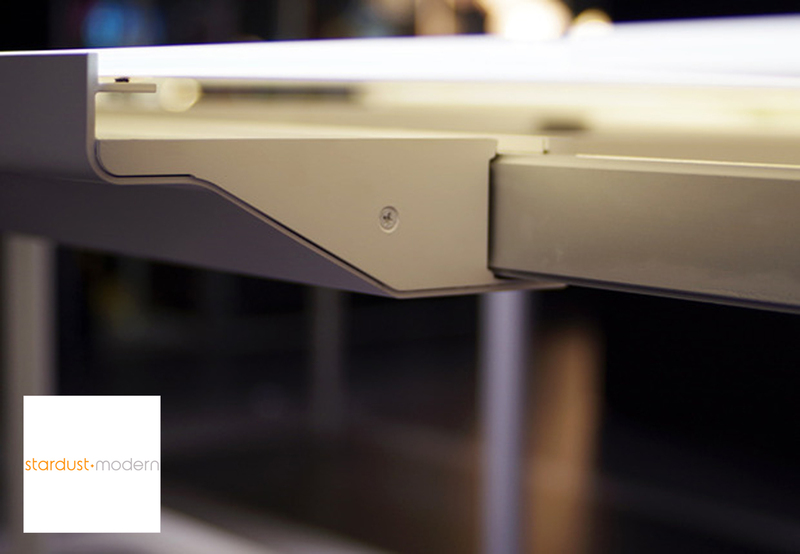 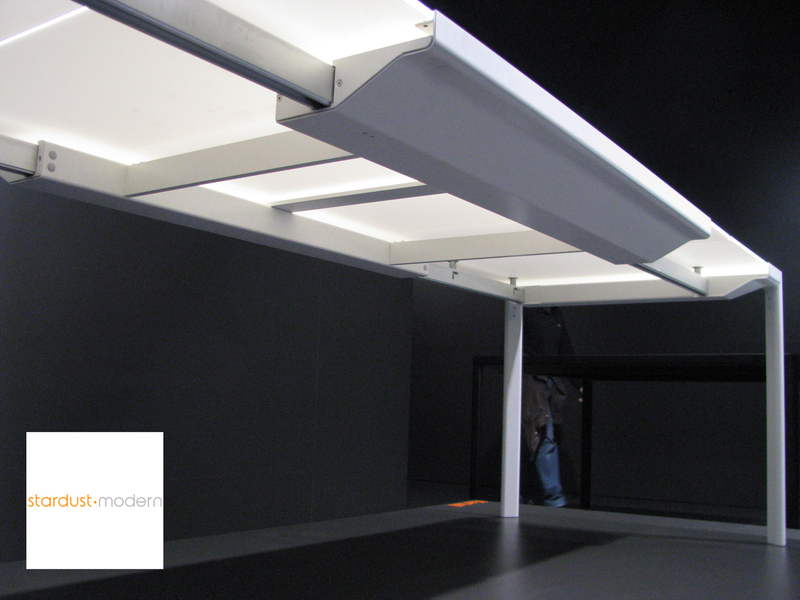 This inventive extendable table design was created by Italian designer Piero Lissoni for Kartell in Italy. Set on a sleek and unobtrusive lacquered-aluminum frame, the tempered and scratch-resistant glass top hides an ingenious extension mechanism that recalls the precision mechanics of Swiss timepieces. 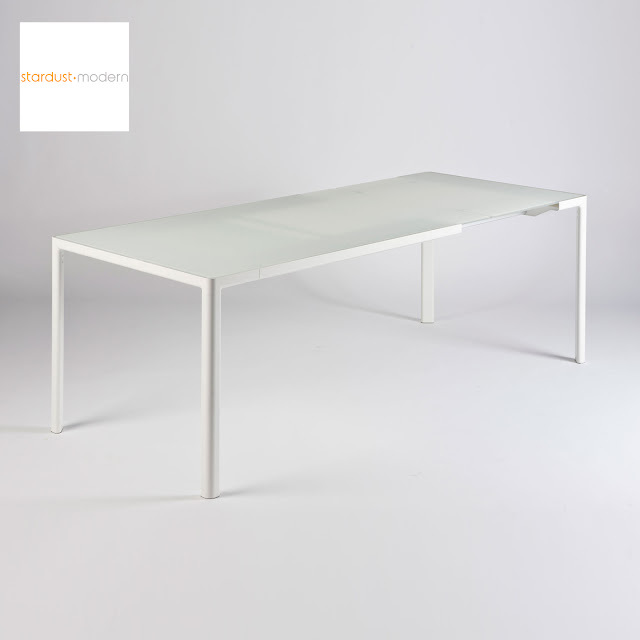 A great advantage of the Kartell Zoom Table is that the table's leafs are stored within and do not require to be stored separately. 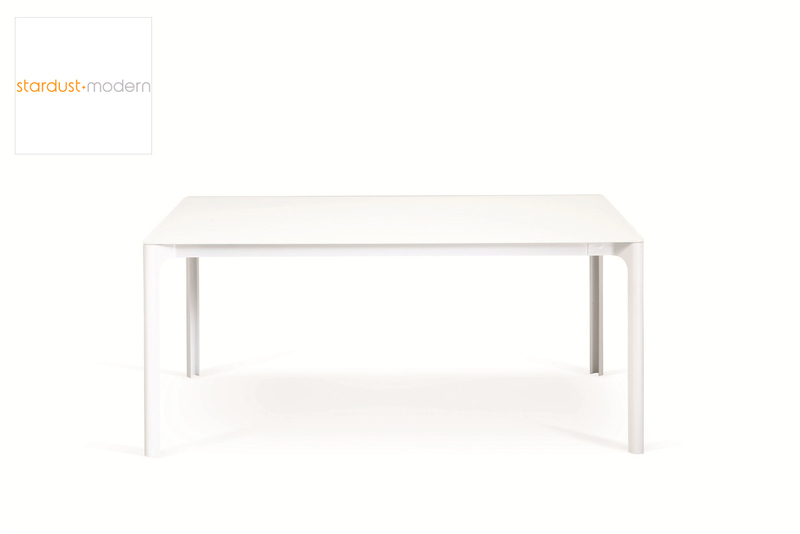 With its rectangular top and extendable frame, Zooom provides the perfect setting for mealtime gatherings.